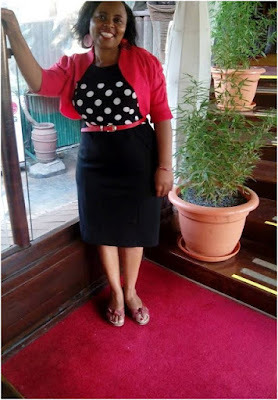 Read this painful story of Mercy Igoki confessing how her husband was snatched by her own daughter. Read it and see how the world can be cruel. My name is Mercy Igoki and I am 48 years old. I am a teacher by choice, training and practice. Am currently the senior assistant registrar at Pan Africa Christian University. Although my story for the past 10 years started out as one of heartache, I can honestly say it has been a lesson in the school that is life. In that school, I have not only seen God’s mercies, but also experienced healing of my physical bones and learnt the power of forgiveness. I have also learnt the true meaning of love and friendship as evidenced by those who have supported me in the face of my struggles and when my marriage disintegrated. As I recount the circumstances under which my marriage split up, it is my wish that it will inspire someone to start their own journey to forgiveness and restoration as opposed to bitterness, anger and death. I have two boys. My first-born is 23 years and a law graduate, while my second-born is 20 years old and a medical student at the University of Nairobi. In 2006 while working as a teacher and counsellor in a local high school, I met an orphan – a girl – living in a children’s home and I took a liking to her. I love my sons deeply but I had always wanted a girl to complete my brood. This was my chance to make up for it and I sat down with my husband and children and enquired from them whether we could take her in as one of our own. They said yes. From the first day, we seemed to bond perfectly. She was 16 years old – three years older than my eldest child – and her name, just like those of my boys, started with the letter ‘M’. Additionally, we bonded easily over studies because being a teacher, I could not imagine any of my children faltering in their education. Many times as we cooked in the kitchen, we would talk emotionally over how I would give her away to her new family on her wedding day just as her biological mother would. Our new family was thriving. Shortly after taking her in, I resigned from my job as a teacher. The previous year, I had suffered multiple fractures from a near-fatal accident and I needed time to recuperate. I was still walking on crutches and found it challenging to keep up with the pace of my previous life. Instead of resting on my laurels, I enrolled for an undergraduate degree in education at the Kenya Methodist University in Meru. I would be away from home sometimes up to three weeks or longer at a time because of my studies. It was while travelling back from one of these trips in 2008, just after my daughter had finished high school, that I received a phone call from one of my neighbours. We were not particularly close but when she asked me about the girl I was living with, I casually replied to her that she was my daughter. She prodded further and I told her she was my adopted daughter. I was shocked. I never would have suspected anything underhand between my husband and my daughter. I decided to investigate and true to my neighbour’s warning, I discovered clandestine correspondence between them. In anger, I confronted them and to my shock, my husband blamed me for the affair saying I had brought the girl to him. I demanded that the girl move out of my house. Shoving me, he replied that I could kick her out of the house but never out of his heart. While the bitterness I had against them and the hurt I felt in my heart has thawed, I would be lying if I said I was strong about it when it was happening. Up to this day I have never understood the level of pain I felt. I never imagined, as a Christian couple who had preached for 17 years, grown together in salvation having met in the high school Christian Union where my husband had been the chairman, this would be the hurdle we would have to cross, moreover due to the actions of someone I considered not only a child, but my child and student as well. Months went on and as we tried to talk, things got worse. We were playing the blame game, the girl would often call and abuse me and the confrontation would often escalate to violence. The children were aware of what was happening but were too stunned to speak. This went on until 2010. In the midst of fighting for my marriage, a church hired me as the training coordinator on matters church membership, dedication, baptism and general training During the final interview, the senior pastor asked if there was anything I wanted to share. As Christians, there is always pressure to look perfect especially to fellow Christians. For a long time, I had been ‘too Christian’ to have problems and had kept quiet about my tribulations. I shared with the senior pastor that my marriage was on the verge of breaking down and if God did not intervene, then I would surely lose it. Still, they hired me. My pastor was not judgmental. He assured me that they had hired me and not my marriage. On October 15, 2010, I signed my contract. A month and a half later, my husband invited our children for dinner. When the children came back home, they informed me their father had said he was never coming back to me. I felt so disrespected. How do you send my children to tell me that our marriage is over? Months went by and in April the following year, he came back home saying he was willing to work things out. I agreed but on condition that I was to be the one and only wife. He said that was not an option. I was willing to fight for my husband with another woman, but not with my daughter and at that point he left and in turn, I moved out of our house. When the finality of our marriage dawned on me, I became angry and depressed. My world stood still for a moment. I had remained quiet for a long time hoping things would change. How would I present this to the public, family, my students and the church, especially my fellow Christians? I was afraid of being judged. Here I was counselling married couples, teaching teenagers how true love waits yet love was not waiting in my own house. The next three months were the most painful months of my life. I was angry with God and I knew I had a decision to make. To forgive them or die and if I died, I decided I was not going to die alone. Without God, it is easy to take the latter route. Mercifully, I had a lot of support. I belonged to a fellowship in my church called Sister Wednesday and they stood with me through the physical and emotional pain and healing. My long time friends and pastors in my church also stood with me. So I took the easier route, forgiveness. On June 5, 2011, I went to the Arboretum gardens in Nairobi at 8am with the sole resolve that I would not leave until I had made peace with my decision to forgive my husband and daughter. I ended up crying the whole day but by the time I was leaving at 5pm, I felt the burden lift and I even managed to sneak in a cat nap. That was the beginning of my freedom. I started looking at life differently, speaking positively and even remembered the fun times in my marriage! By July 2012, I had made the decision to pray for my husband not to come back to me, but because he was God’s creation and my children’s father, a role he upheld by providing everything they needed financially. In 2013, he insisted that the children stop living with me and get their own place. Without ill feelings, I agreed. Thankfully, our first-born had already joined campus and the second-born was in boarding school. However, whenever they were home, I visited as often as I could. On April 22, 2015, I was served with divorce papers. I started following up on our shared properties but it was too late as most of them were held under my husband’s name and had already been sold. An attempt to reclaim the properties made me realise I was going to spend so much money and emotional energy, which I needed as I am currently undertaking my PhD studies in management and leadership. I let it go. As I talk to people now, it is with a lot of understanding. I tell couples while trust is good, do not put people on pedestals. Share property ownership in full because as a couple, you support each other regardless of who chipped in the most.